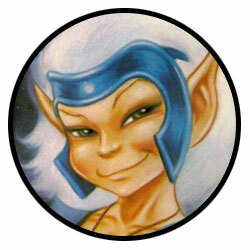 Elfquest is the longest-running independent fantasy graphic novel series in the USA, with more than 20 million comics, graphic novels and other publications in print. 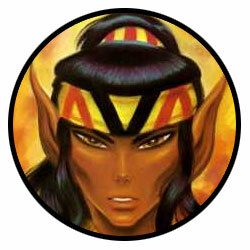 The story of Cutter, chief of the Wolfrider tribe of elves, and his quest to find others of their own kind on the World of Two Moons, Elfquest was first published in 1978 by creators Wendy and Richard Pini. Dark Horse Comics, with a year-long 40th anniversary celebration planned for 2018. 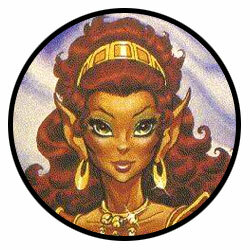 •Get the latest Elfquest comics and collections from Dark Horse Comics. •New to EQ? Catch up on the backstory with the free online comics archive where you’ll find nearly 7000 pages of vintage story and art. •The stories in chronological reading order – a complete (non-canonical) list by fan-librarian Amy Green. Meet the elves and their foes and friends in our Who’s Who. The Wolfriders number only seventeen at the beginning, but come to know hundreds of other elves, trolls, preservers, and humans as the quest unfolds. Meet the Sun Folk, the Gliders, the Go-Backs, the WaveDancers, and many more. •Meet Elfquest creators Wendy and Richard Pini and take a short historical tour from the beginnings until the present day. •Convention and other appearances – Here is a list of places, dates, and times that Wendy and Richard will be appearing. Bookmark this page and keep checking as this list may change at any moment without notice. •Questions? 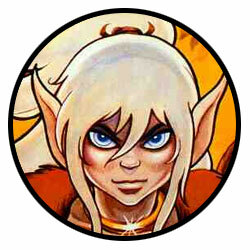 Read the Elfquest FAQ. •Follow us on Facebook, Twitter and Instagram. 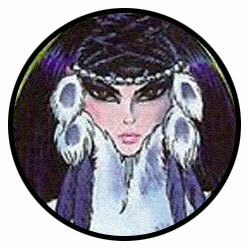 •Listen to the Elfquest Show Podcast. •Order out of print books from our own online eBay store. •More questions or comments? Feel free to contact us.